"They've been waiting for a second chance… waiting for their country to need them again…" Damn Yanks! Crazy Canadians! 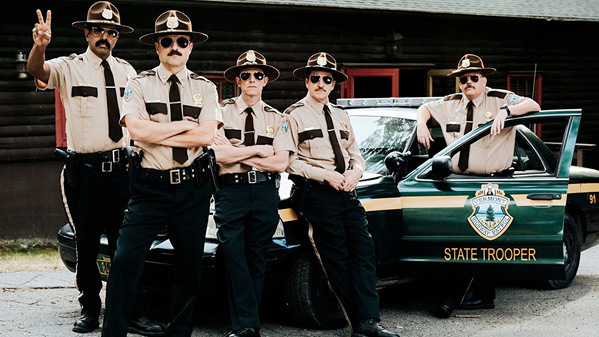 Fox Searchlight has debuted the new full-length trailer for the long-awaited sequel Super Troopers 2, hitting theaters on April 20th this spring, because of course it opens on 4/20. Makes total sense. 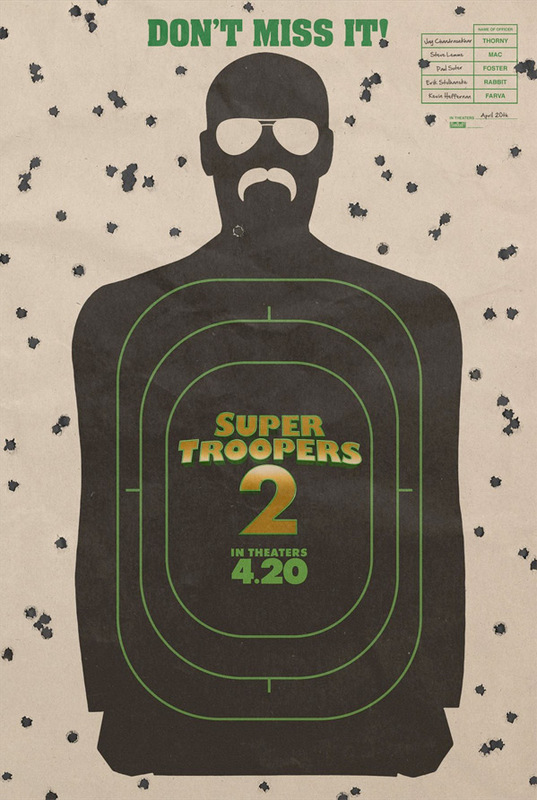 This stoner comedy sequels picks up where the first film (released back in 2001) left off and follows the Super Troopers who are tasked with establishing a Highway Patrol station in a border area between the US and Canada. Pretty much everyone is back: Jay Chandrasekhar, Kevin Heffernan, Steve Lemme, Paul Soter, Erik Stolhanske, Brian Cox, Lynda Carter, and Marisa Coughlan. The newcomers this time include Emmanuelle Chriqui, Rob Lowe, Tyler Labine, Will Sasso, and Hayes MacArthur. As expected, this looks totally nuts and ridiculous, but still hilarious. Light up that blunt, kick back, and enjoy. You can also still see the first teaser for Supers Troopers 2 here, to go back and watch the original tease. The long-awaited sequel to Broken Lizard's smash hit Super Troopers from 2001. When a border dispute arises between the U.S. and Canada, the Super Troopers are tasked with establishing a Highway Patrol station in the disputed area. Super Troopers 2 is once again directed by comedian/actor/filmmaker Jay Chandrasekhar, one of the Broken Lizard members, who has directed many films previously including Puddle Cruiser, Super Troopers, Club Dread, The Dukes of Hazzard, and Beerfest; plus lots of TV work in the past few years. The screenplay is written by the Broken Lizard team (aka Jay Chandrasekhar, Kevin Heffernan, Steve Lemme, Paul Soter, Erik Stolhanske). Fox Searchlight will release Broken Lizard's Super Troopers 2 in theaters everywhere starting April 20th, 2018 (4/20!) in the spring. Who's down for this?